undecided on her next project. I have narrowed it down (I think) to some Jojoland Melody Superwash I unearthed a while ago from my stash. Mind you, this is not set in stone, me being the fly by the seat of my pants kind of woman I am. I think it’s a keeper. Also, surprisingly (I’ll probably jinx it, now), I’ve only cast on and started it this one time. Usually, I have a couple of false starts before I settle into a new project. A nice change, I think. 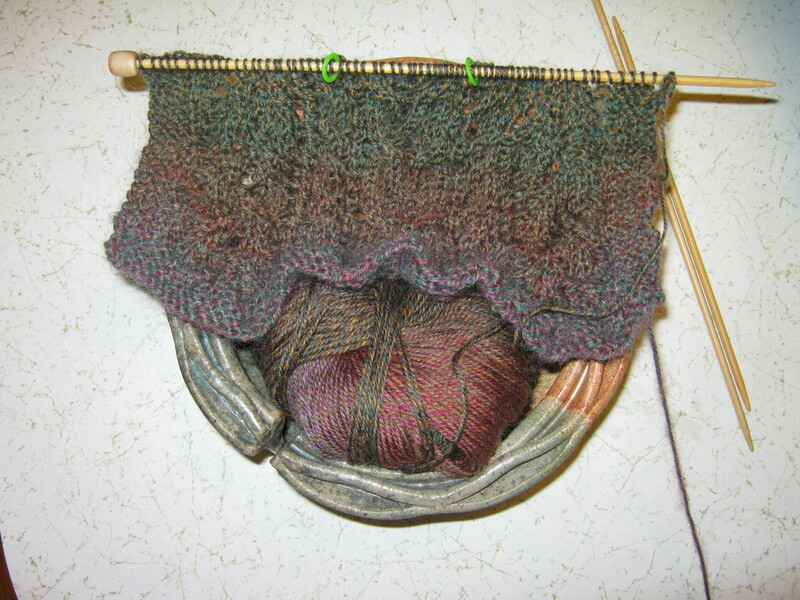 One more thing – here’s my FO Friday project for this week. 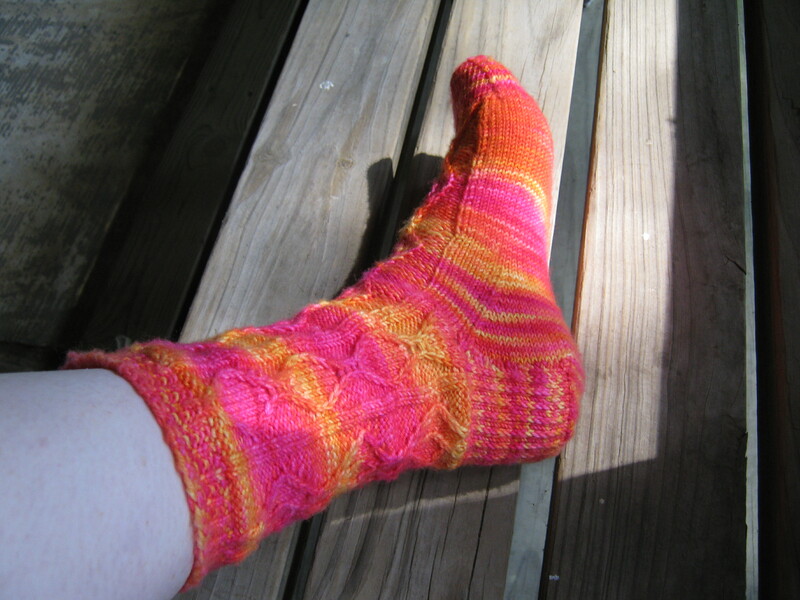 Announcing the Slippery Socks !! As usual, Josie has to be up in the middle of everything. She hates to be upstaged!